Growing up in the care of the old man he was entrusted to at birth, Franklin Starlight has never really known his biological father, Eldon. The fleeting moments he shared with the alcoholic man have only ended in disasters that haunt the boy. But when father, coming to the end of his alcohol-ruined life, reaches out to sixteen-year-old son their first and last journey together begins. Hesitantly, Franklin obliges his dying father's wish to be buried as a warrior and together they hazard the rugged and dangerous beauty of the backcountry to find an appropriate burial site. Through the fog of pain, Eldon relates to his son the desolate moments in his life, as well as the times of hope the family history Franklin has never known. As Father tells the tale, the Son, and the reader, live for the stories, in the hope that they will shed light on the mysteries of a tortured past. 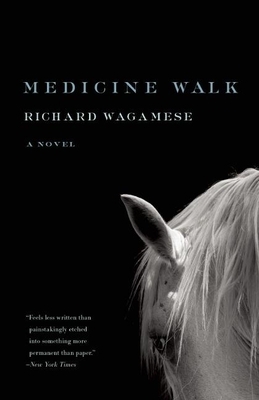 Richard Wagamese is one of Canada s foremost writers, and one of the leading Native writers in North America. The author of eight previous novels and several acclaimed memoirs, he has won numerous awards, including the National Aboriginal Achievement Award for Media and Communications, the Molson Prize, and the Canada Reads People s Choice Award. He lives in Kamloops, British Columbia."